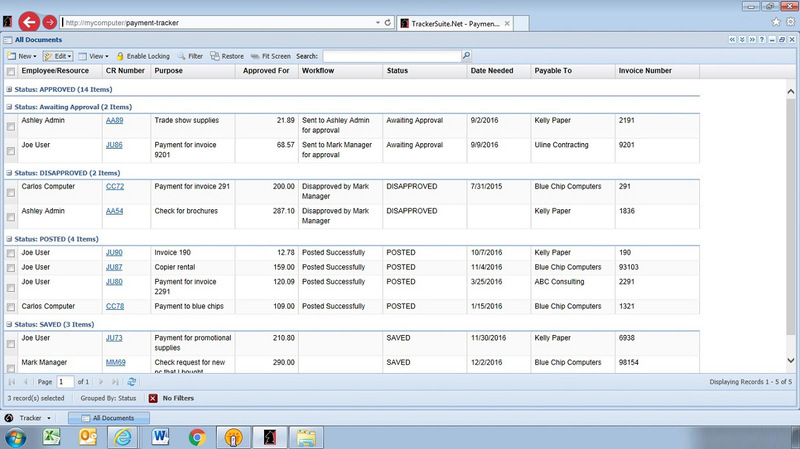 Payment Tracker is a check request software solution that provides organizations and their Accounts Payable departments with a means to procure needed items outside the typical routing of purchase orders through the purchasing department. For example, in situations when no invoice is provided or for advanced payment on fixed price items, such as an office or equipment rental, a check request form can be submitted. The check request form can include attachments and be routed through approval workflow. 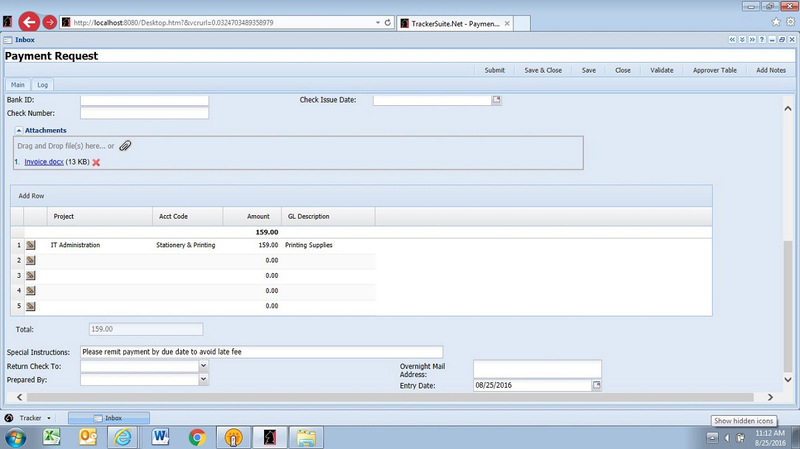 Payment Tracker can be integrated with your existing Accounting systems. It supports multiple check request workflows, including those based on the amount of the request. Submitted requests are smart routed through the approval process. 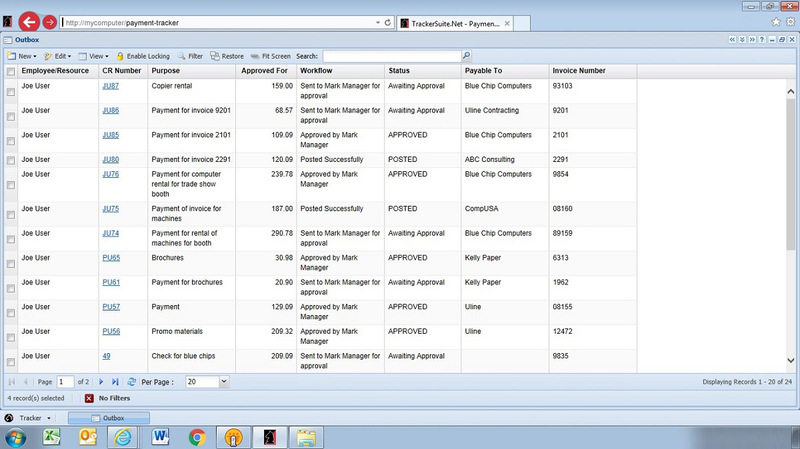 Payment Tracker is highly configurable, and can be customized to wrap around an organization's particular request-to-pay process. As the check request moves from creation to posting, an activity log records its history. These forms also include a GL coding section, where the total amount of the check request can be allocated against multiple account codes. Submit Web based check requests from any location. Attachments can be added to check requests. Dashboard views simplify check request tracking. 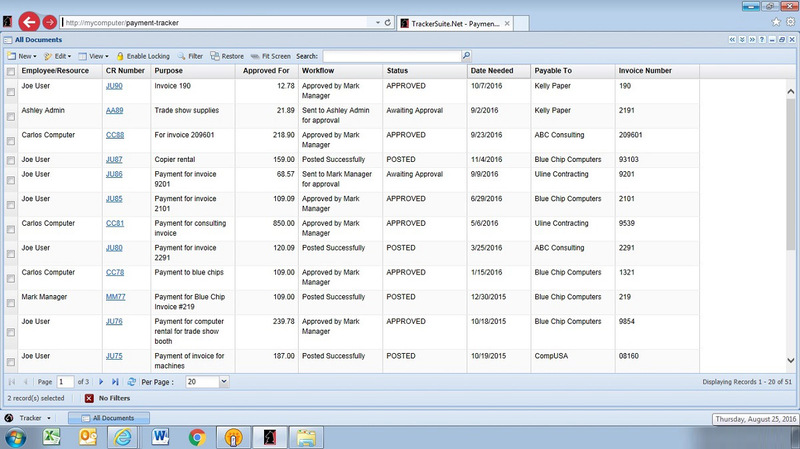 Check requests can be configured for an individual within the organization or an external vendor. 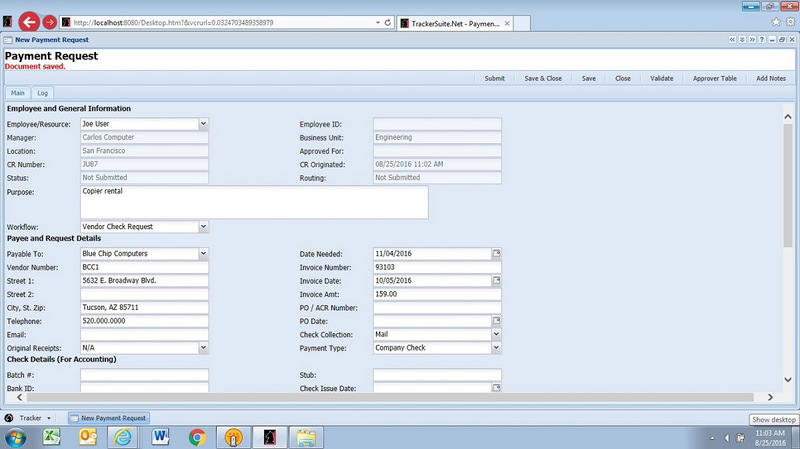 In/Out Boxes simplify check request management for users and Accounts Payable. Activity logs record all check request activity from creation to posting. We have spent a few decades perfecting the art of software design and development. Here are a few examples of Payment Tracker at work. 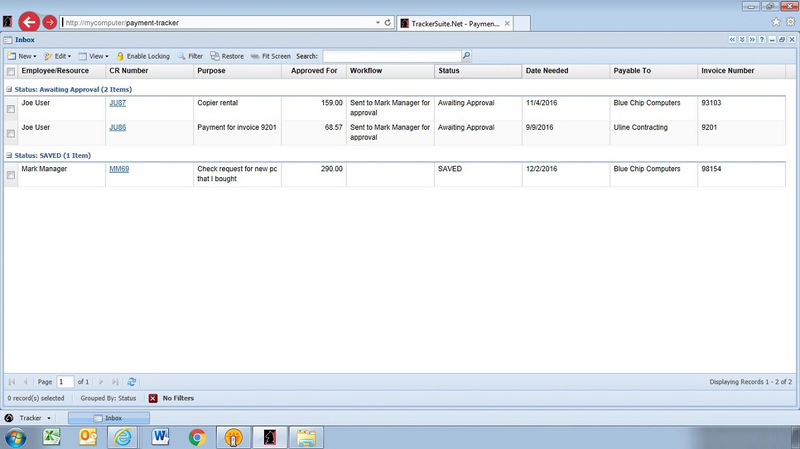 Payment Tracker includes In/Out boxes that simplify check request management, both for users as well as administrators. 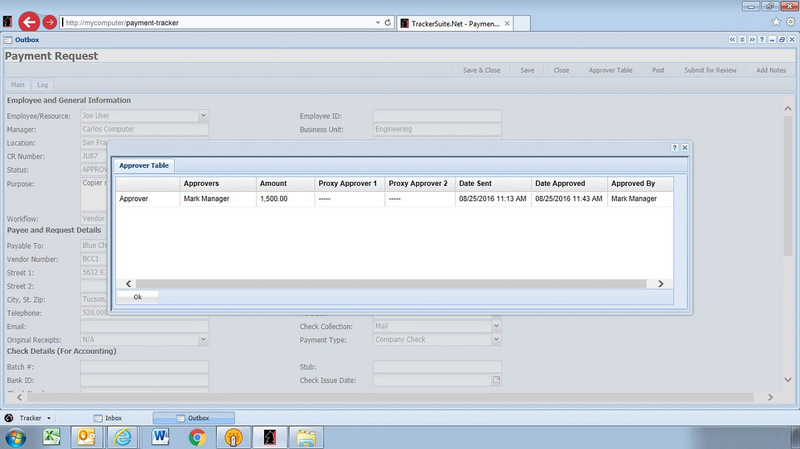 Accounts Payable can utilize Payment Tracker for tracking requests and their status across the organization. Payment Tracker can also serve as part of a Paperless Accounts Payable system, along with Expense Tracker, Purchase Tracker, and Time Tracker for contractor timesheets.